1. 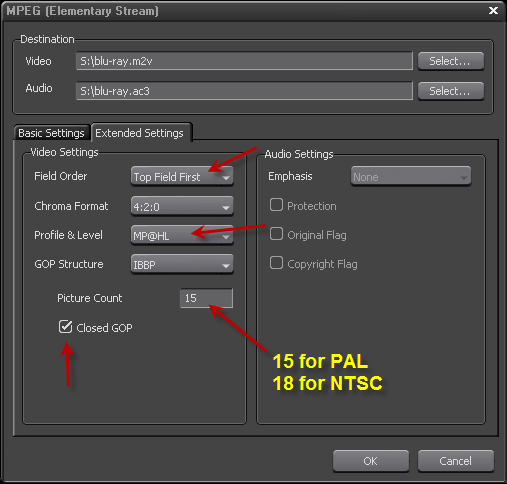 Make sure project setting is 1440x1080 or 1920x1080 or 1280x720, mark in and out on Edius timeline, open the exporter and choose MPEG, then Elementary Stream Exporter. 2. 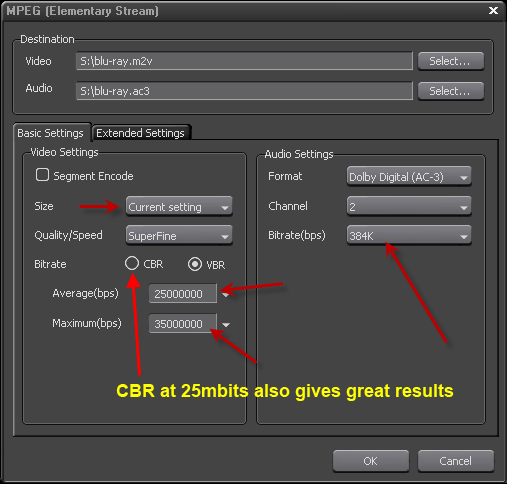 Use a maximum of 35,000kbps for video and 384kbps for audio, set audio type to Dolby Digital AC-3, leave size on Current setting.